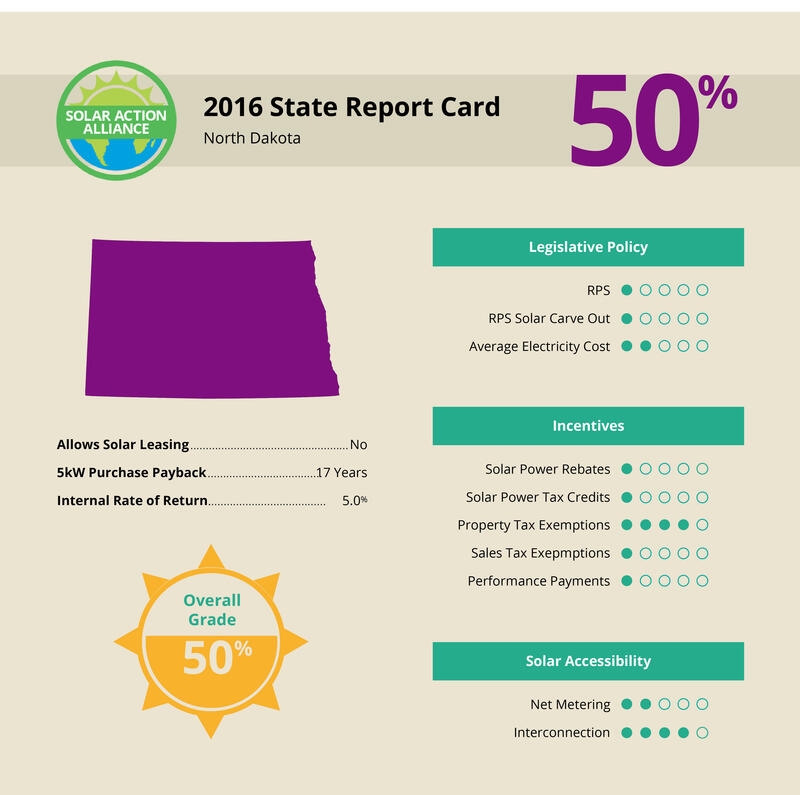 North Dakota Solar Energy: What Are Your Options For Getting A Solar Panel System? North Dakota, as its name implies, is one of the northernmost states in the U.S. The climate runs to the extremes, with surprisingly hot summers and very cold winters. It is also one of the most rural states, with vast plains and farmlands that would make solar power seem like an ideal solution for such a sparse electric grid. North Dakota is the 6th highest producer of wind energy in the country. As a farm state, they also produce enough biomass byproducts to produce millions of megawatts of energy. All this serves to explain why North Dakota ranks in the lower 10th percentile in the country in terms of its collective solar panel viability. The high initial cost of buying a solar panel installation is offset by the fact it has the most returns, but the seventeen years required for the system to pay for itself is on the high side compared to other states. 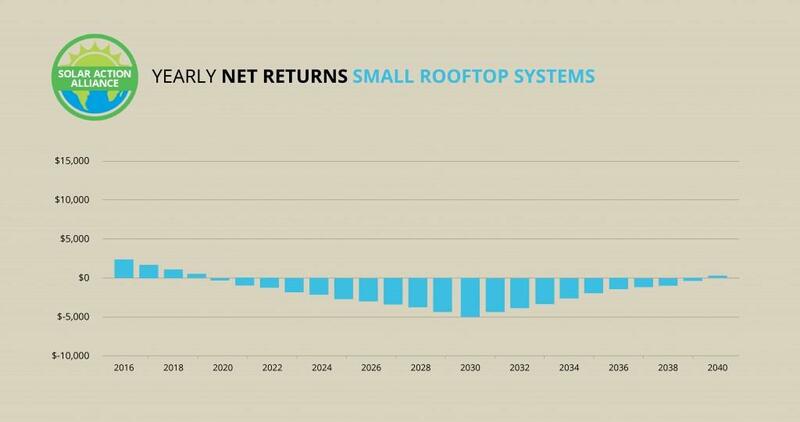 A smaller installation has less risk in the beginning, by yields proportionately smaller returns at the end of the 25-year life cycle of the system. HELOC loans have the benefit of requiring zero money down, but take about the same amount of time as a normal-sized system for the loan payments to yield profits. The high initial cost of buying a solar panel installation in North Dakota is due to the absence of state tax credits. However, the federal tax credit of 30% takes a large percentage off the initial cost, and the nearly $660 in estimated first-year savings bring this number down substantially. For example, a system that costs $20,000 would be reduced by $6,000 from the federal tax credit, which can be broken down over the course of years if you owe less than that amount in taxes. Add the savings on electric, and the price is reduced to $13,340. 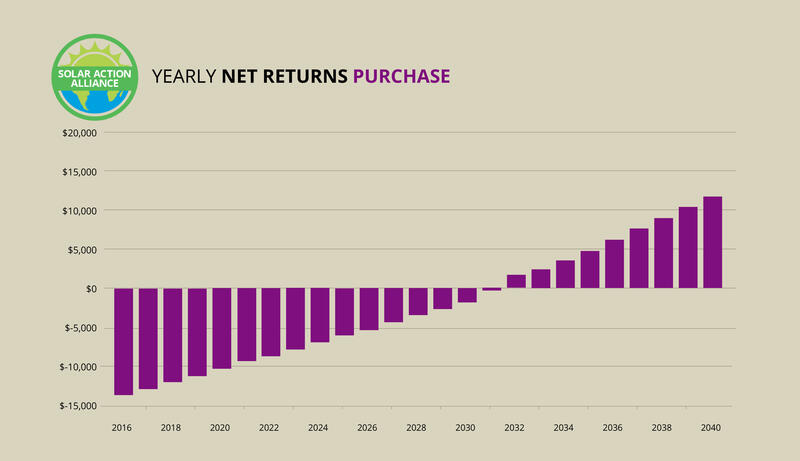 The system will have paid for itself from the savings in about 17-18 years, so you’ll recoup it all as profit for the remaining duration of the system’s life. Smaller installations are a good option for those who lack the upfront capital to pay for a larger system. The savings are proportionately less per year since you’re bringing in half the solar power, but the good news is that the federal rebate remains at 30% regardless of the cost. Assume a system that produces 40% of the wattage costs %40 less—where a 5 kilowatt system is $20,000, a 2 kilowatt system would be $9,000—and subtract the federal tax credit from that number. That’s a $2,700 tax credit, which brings the initial cost of a smaller solar installation to manageable $6,300. It works about the same if you take a HELOC loan for the entire amount, except the 5% interest will bump up that number a lite. You still get the federal tax credit with a HELOC, so that can certainly help. The end result after the 25-year life of the system is about even to a few hundred dollars extra. 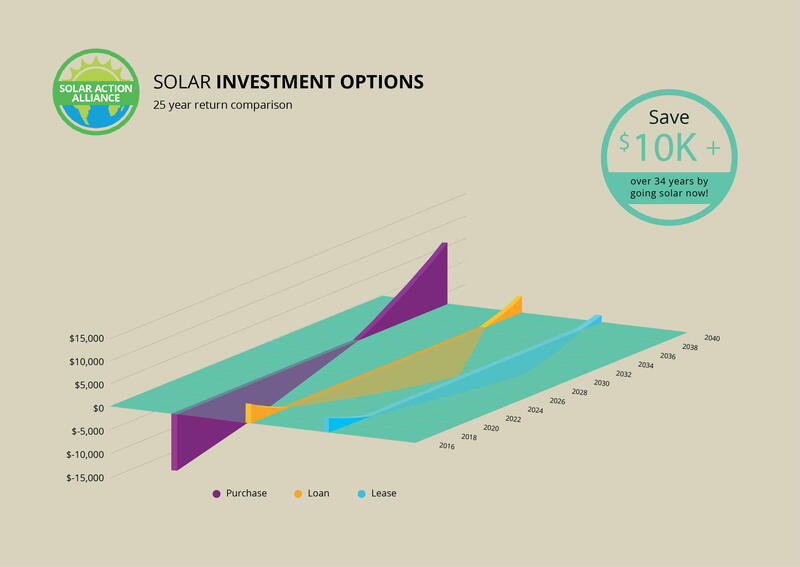 Now that you understand how a HELOC loan would work on a small installation, you can apply that same logic to a normal-sized solar installation. The loan payments on a $20,000 would obviously be higher compared to $9,000, but this would be offset by the increased energy savings. 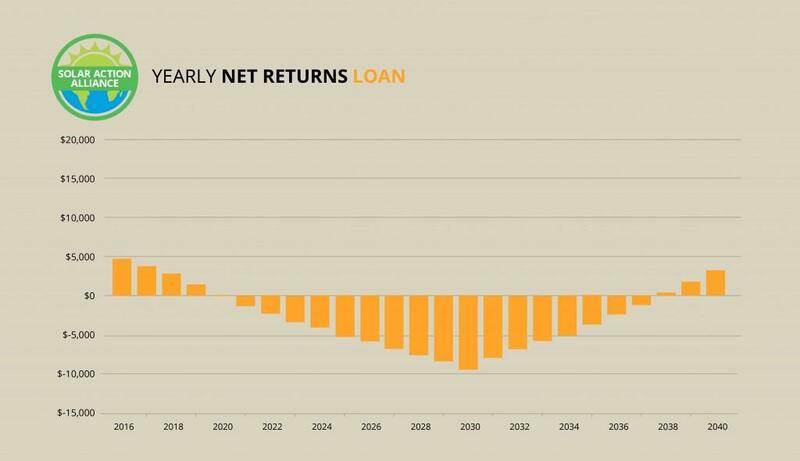 Bear in mind that the federal rebate of 30% will shave $6,000 off that initial loan, so you’ll end up spending $1,000 per year in loan payments until it’s payed off in about 15 years. After that, the energy savings become income, and you’ll end up with a much nicer windfall than a small installation, but with greater initial payments. North Dakota doesn’t have an official Renewable Portfolio Standard. They did have a voluntary standard that suggests utility providers increase their renewable profile by 10% by 2015, but the results of this policy is inconclusive since no one is required to do it. Further, the fact that it’s 2016 means this policy has passed and they are now without even a voluntary policy. North Dakota would benefit from applying the same criteria to the creation of a new policy, and since they’ve already prepared utility companies for the idea of 10% renewable viability, it also makes sense that it be mandatory. According to the Natural Resources Defense Council, North Dakota’s long summer days still make it a viable location for solar energy, despite its unfavorable northern location. In fact, the NRDC reports that it has a dry climate that receives more sunlight than any other state bordering Canada. The prominence of wind energy resulting from its low elevation and its abundance of biomass potential is the likely reason behind the lack of push behind solar panels, but it would make just as much sense to supplement these methods with solar and remove the need for standard electricity altogether. Ultimately, the lack of an updated Renewable Portfolio Standard, state tax credits, and viable leasing options hurts North Dakota’s standing among the states.